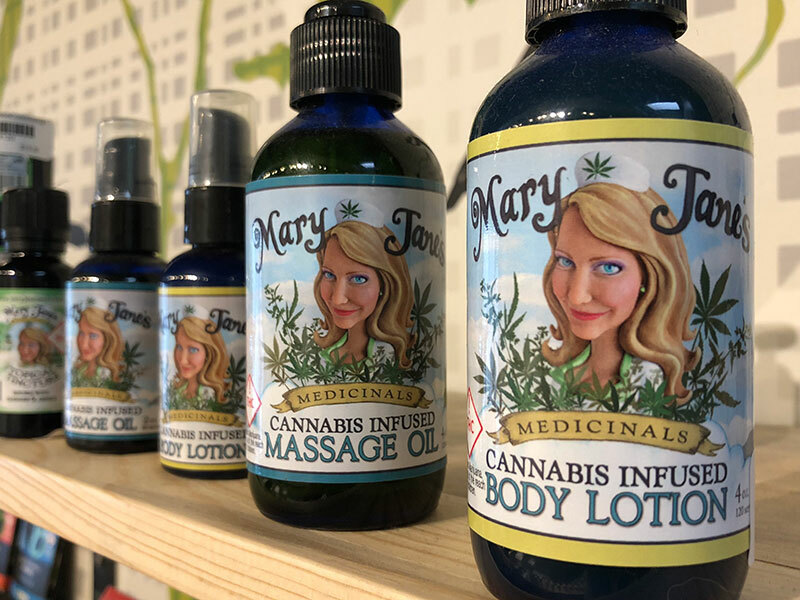 Try our selection of topicals at High Q, with pesticide-free buds for customers from New Castle and anyone looking for Glenwood Springs cannabis. Extra Strength Pain Creme infused with THC and CBD (10:1 ratio). Exceptional for chronic pain relief. Available in 2 ounce bottle with 25mg THC and 8 ounce bottle with 100mg THC.. Extra Strength skin salve. Infused with calendula, lemon, lavender, and frankincense. Crafted for luxury relief. When THC and CBD are combined in a 1:1 ratio. Luxurious balm infused with cannabis proven to relieve stress and repair the skin – restoring smoothness and suppleness. With fast acting THC, our balm relieves your aches and relaxes you deeply. This rich and luxurious lotion will leave your skin radiant and silky smooth. It contains Grape seed, coconut, jojoba, avocado, and sweet almond oils, as well as beeswax. Cannabis used topically promotes circulation to the skin, combined with these oils which are rich in Vitamins E, A, D, omegas, and fatty acids, create a unique and exceptionally healing treatment for the skin. Available in 2 ounce and 4 ounce bottles. THC-infused body and massage oil. A blend of grape seed, jojoba, sweet almond and avocado oils absorb easily into the skin to deliver the healing properties of the cannabinoids quickly to the sore muscles and joints. Available in 2 ounce and 4 ounce bottles. Pain relief salve. Great for headaches, cramps, joint pain, muscle aches, rashes, scars, cuts and inflammation. Available in 1/2 ounce, 1 ounce, 2 ounce and 4 ounce jars. Transdermal CBC cream for pain and inflammation. 100mg of CBDa and THCa. Pat Pen Honestly Herbal THC Pain Stick made with natural ingredients to deliver powerful pain relief. Alcohol based Cannabis/Arnica infusion. For those of you who are not familiar with Arnica it is a very healing herb that grows wild in the mountains of Colorado. The Cannabis and the Arnica work really nicely together to drastically reduce the healing time of injuries. Transdermal‎ gel pens for spot treatment of pain. Available in Indica, Sativa, CDB and CBN. All natural cannabis-infused sensual enhancement oil designed for female pleasure. Available in 10ml and 30ml. 15 mg THC, 15 mg CBD in each bomb. Lose yourself in this deeply relaxing cannabis infused bath soak formulated with pure CO2 extracted THC, rosemary, lavender and cedar wood. Dixie’s mineral-rich soak reduces stress and provides ultimate relaxation. 90mg THC. Honestly Herbals THC Healing Lips is made with all natural ingredients that work together to prevent and heal chapped and dry lips as well as cold sores and fever blisters. This healing lip balm contains Vitamin A, B1, B2, B6, C, D, and F as well as Omega Acids 3, 6 and 9. This silky balm glides on lips with a pleasant hint of peppermint. You can even rub it on your temples for headache relief.